"See if I like it"
Contact us for discount pricing. 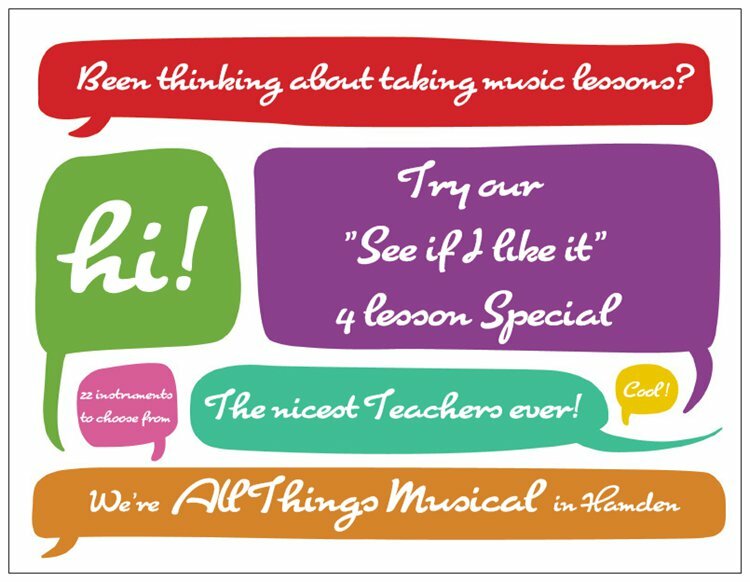 We are very proud of the faculty here at All Things Musical. They have excellent credentials with degrees and advanced music studies from conservatories and universities such as The Juilliard School, Hartt School of Music, Columbia University, and considerable professional performance and teaching experience. They also possess what we consider to be essential for any teacher, excellent interpersonal skills. We believe that the right match between student and teacher is of primary importance. Some of our teachers really shine with the youngest of students. Others relate well to our teen students. Others enjoy working with adults and seniors.